Cebu Country Club hosts dozens of tournaments each year; but nothing compares to the Coral Tee — a member-guest invitational held every Sinulog week (Wednesday to Saturday) that’s now on its 36th year. Atty. Jovi Neri, one of CCC’s top golfers, said that the 36th Coral Invitational, next to Manila Golf’s Golden Tee, is the second oldest member-guest invitational in the country. But last week may have been one of the most challenging. After the 430 participants completed the first two days, it poured heavily again on Friday and the forecast on Saturday was more rain. Jayjay Neri, who is also the general manager of SunStar, considers being able to finish the 36th Coral Tee despite the torrential rain (and having no major accidents apart from a few who slipped due to the muddy conditions) as a major blessing. Talking of blessing, two others received major surprises. The first was Rolando Casing of Cagayan de Oro. Last Friday on the 3rd hole of CCC, he used a 7 Iron Titleist 762 club and swung. The ball flew high above the Banilad trees, bounced on the green, rolled and disappeared for a hole in one. Witnessing the rare occurence were Richard Hong, Benedict Uy and Hisashi Miyashita. As reward, Mr. Casing took home a Jeep Wrangler. Another blessing happened to my good friend Alvin Alazas, a former CCC club champion. At the conclusion of the Coral Tee, the most awaited moment is the grand raffle. It turns out, Alvin bought his own ticket. Finally, when the number “8” was called and Alvin’s name was announced, all his friends jumped. Tomorrow, Alvin and Mimi celebrate their silver anniversary. And as gift, a brandnew 3.6-liter V6 Jeep Wrangler. Imagine your daily job to be this: You walk amidst tall pine trees, smell the pink roses that circle the pond, stroll on green natural carpet as the blue skies and white clouds dance above; you inhale fresh wind, smile, appreciating God’s beauty as you hear the birds chirp while you chip. Ahhh… the day in the life of professional golfer Charles “Chuck” Hong. This scenery was made more perfect last weekend when the Cebuano ace aced a giant tournament: the ICTSI Sherwood Hills Classic at the Sherwood Hills Golf Club in Cavite. 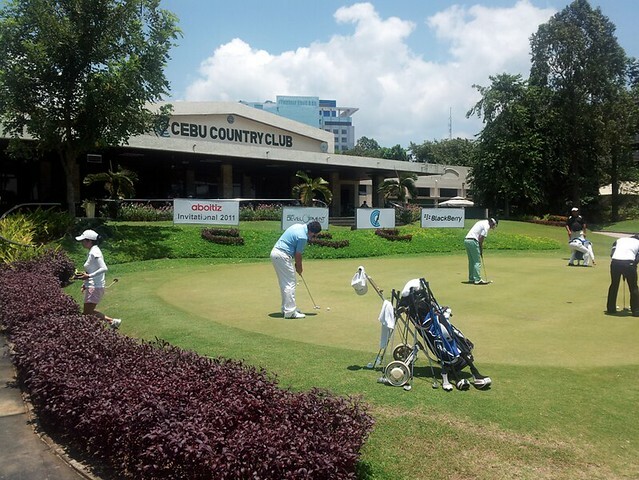 Two Saturdays ago, the 2013 Club Championships of the Cebu Country Club was played. After a weeklong series of one-on-one contests (called “match play”) pitting winner against winner, one final winner emerged. Though his family owns this newspaper (his dad, Atty. Jesus “Sonny” Garcia, Jr., is SunStar’s chairman), very few words were devoted to his victory. In the 36-hole, morning-and-afternoon finale against Lloyd Jefferson “LJ” Go last April 27, Bayani once again played near-flawless: grossing 4 under and being bogey-free in the first 27 holes. He credits his consistency to Coach Andrew Ong. In the end, though, the more remarkable one was Bayani, who proved that experience still prevails over youth. The 27-year-old Bayani beat LJ, only 18, with a score: 1-up. As to Bayani’s favorite player, his response was tiger-quick: Mr. Woods, the man he watched win the 2000 British Open Championships at St. Andrews. “Nobody in the sport has the mental toughness and drive,” said Bayani. Finally, I asked Bayani why he loves the sport and what lessons he can impart to his fellow players. “Golf is character-building,” Bayani said. “It is the only sport where your greatest adversary is yourself. It is how you deal with different uncontrollable situations that can decide on whether you win the tournament or not. It teaches you patience, perseverance, commitment, an,d most importantly, decision-making. It is a life teacher. “Never give up on yourself. I know a lot of golfers that easily get discouraged because despite all the hours they spend on the course, they do not see an improvement in their game and handicaps. I always tell myself when I’m playing bad that things will always get better. I just have to weather out the storm and continue to practice in order to improve. Is this week the biggest ever in Cebu sports? Yes. It started last week when the PAL Interclub tournament teed-off at the manicured lawns of Alta Vista. 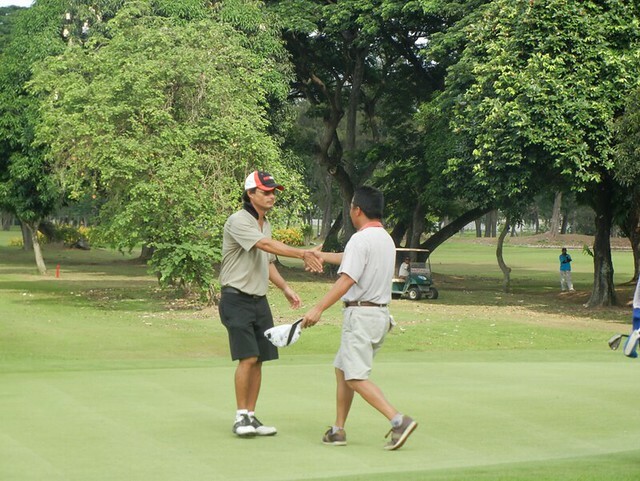 It continued with Day Two of the Seniors Division at the Club Filipino in Danao. That tournament invited 800 players nationwide to our Cebu shores. That’s golf. Two mornings ago, we had one of the most sought-after races: the SM2SM Run. Over 4,000 pairs of running legs participated. Millions were spent by SM and thousands of pesos will go to charity. That’s running. Tomorrow, the Championship Division of the PAL Interclub commences. Our Cebu Country Club team — Bayani, Andre, LJ, Marko, Gen, Jovi, Eric, Mark, Montito and Carl — will, on home turf and as a band of 10, attempt to repeat as champions. As I’ve written here last Sunday, the PAL Interclub is not only the biggest golf outing in our Philippine islands, it’s also 66 years rich in history and brings “golf tourism” to Cebu. What else is happening? This Saturday, it’s the 18th edition of the Pinoy Pride Series and it’s dubbed “World Champion vs. World Champion.” That’s because Donnie Nietes, the Murcia, Negros-raised Cebuano is fighting Moises Fuentes of Mexico on March 2. It’s Nietes’ WBO (light flyweight) belt against Fuentes’ WBO (minimum weight) belt. Having observed Nietes doing sparring seven afternoons ago at the ALA gym in Mandaue, I’m here to report the sad news for the Mexican contingent, including the visiting Marco Antonio Barrera: good luck, enjoy the battle while it lasts because you’re going to lose. Donnie Nietes is in terrific shape. When we spoke in Ilonggo (while he was wrapping his knuckles with white tape), he knew the enormity of this moment: he’s not fighting in MOA Arena or anywhere else abroad, he’s fighting in our “mini Las Vegas” called the Waterfront Hotel. Perfect. “Ahas” stars in the Year of the Snake. In the undercard, Genesis Servania, who is the WBO Asia-Pacific super bantamweight champion, will entertain the crowd. What’s outstanding about “Azukal,” as he’s nicknamed, is this: He won 19 times with six KOs and has never lost a bout. Jimrex “The Executioner” Jaca, carrying an impressive 36-win, 20-KO record, we’ll also watch. That’s boxing. Is that all? Nope. One more: The Vaseline Xterra Off-Road Triathlon Championship Weekend. Now on its third year in Liloan, Cebu, this swim-bike-run event is different from the Ironman. Because while the IM70.3 is in Shangri-La’s Mactan Island Resort — and where bikers use Cervelo road bikes worth P700,000 and the runners are “spoiled,” running on smooth asphalt — in Xterra, it’s the opposite. It’s dirty. It’s rocky. It’s risky. It’s muddy. Xterra uses the mountain-bike — and I tried the 17.5-km. route last weekend. Scary! Last year, I joined the Xterra Lite and found the bike route scenic. For this weekend — a completely different route but still in Liloan — it’s more technical and dangerous. You traverse through areas beside a cliff. After reaching the highest peak at 185 meters, you descend on a single-track, non-paved, sharp-rock-filled narrow road. Too many times, I went down my bike and walked. Not wanting to fall and get bloodied, in possibly 20 percent of the way, I walked. Ken Salimbangon, Onek Priagula, Bernard Palermo joined the “elite” triathletes like Joseph Miller, Tenggoy Colmenares and Jomer Lim in trekking the mountainous terrain. The view from the top of Consolacion? Amazing. We took photos. We even stopped for a “buko break,” drinking fresh coconut milk and “carbo-loading” on buko meat. I love mountain-biking. I love maneuvering past the cobbled stones. I love the shaded, nature-filled route. This is Xterra — and it’s happening this Saturday and Sunday. This week, our mantra is… Sports: It’s more fun in Cebu! The 66th PAL Interclub is classified under four divisions: Championship, Founders, Sportswriters, and Friendship. 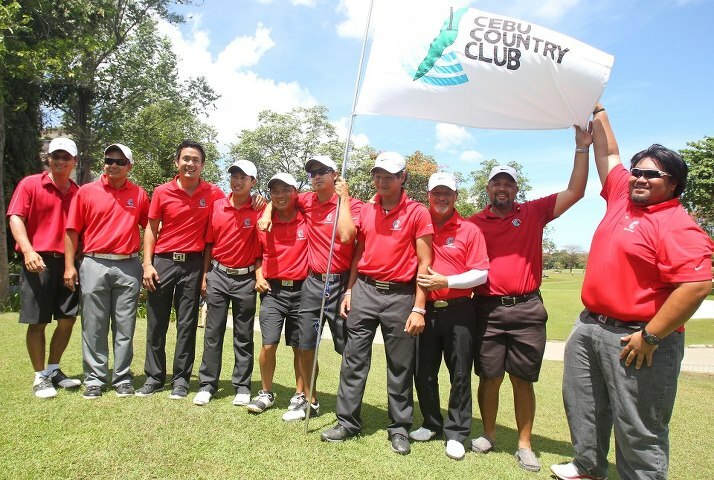 For the first time ever, Team CCC won the premier Championship division last year in Davao when it beat Del Monte Golf Club. Thus, the added pressure — especially because Cebu is hosting. “The Men’s division will start on Wednesday and will be played on 2 courses: CCC and Mactan Island Golf & CC. 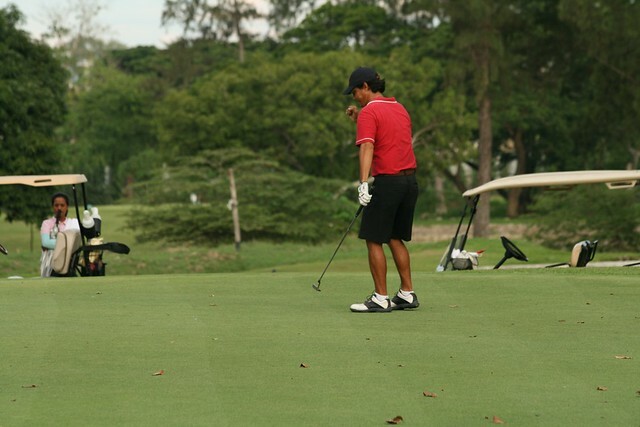 Play in Mactan is instrumental since it’s a difficult course that not many have practiced in. What makes the course difficult are the conditions of play, especially the tricky greens,” said Marko. Each team has 10 players. Except for Gio Gandionco, who is in the U.S. for golf scholarship, all nine players are returning. Gio’s replacement is my next-door neighbor, Andre Borromeo. Thrice a member of CCC’s Founders (champion) team, Andre qualified after a grueling 72 hole qualifier vs JJ Alvarez. NIMROD QUINOÑES. Over at the Alta Vista Golf and Country Club – which hosted the Seniors Division — I asked one of my closest friends, Nimrod Quiñones, to comment on the impact for Cebu. “PAL Interclub is not just for the golf clubs. We have a total of 800 players for the seniors and another 800 for the men’s tournament for a total of 1,600. That is still excluding their companions. If a player spends just a minimum of P20,000 here while taking part in the tournament, that is P32 million that is pumped into the economy of Cebu. “Since this is my 20th PAL Interclub playing various roles as sportswriter, photographer, thrice as participant, once as team captain, and several times playing in the media tournament, now as GM of a host club, I know that players spend so much more than P20,000 each. We were schoolmates at Cebu International School. We share the same birthday. And, whenever I need golf analysis, I always e-mail the same person: Marko Garcia Sarmiento. 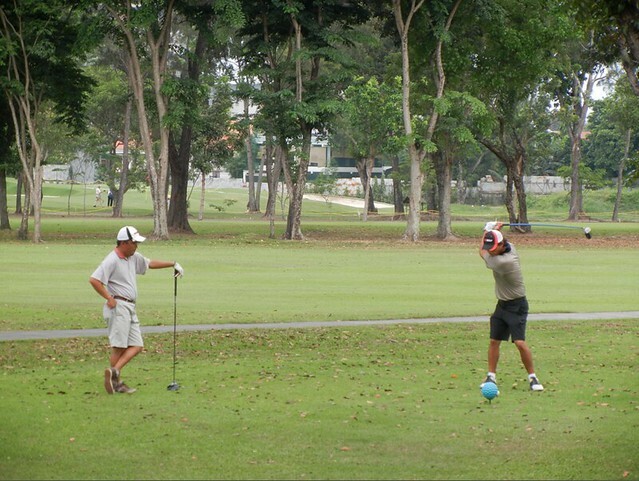 At the manicured lawns of the Cebu Country Club, few people can drive that ball farther. Averaging 290 yards off the tee, Marko, 34, started swinging clubs at the age of 10. By college, he decided to study the one course that specializes on the golf course: at North Carolina’s Methodist University, studying Business Management with a focus on Professional Golf Management. Last week, the 2012 CCC Club Championship unfolded. Sixteen of CCC’s best participated. After the qualifying rounds, Mr. Sarmiento — with rounds of 74 and 71 — took the second-highest seed, just a stroke behind Mark Dy. In the 18-hole contest, the battle started as expected, with Eric leading. Although Marko was playing well, he wasn’t putting well. But, as fate would have it, Eric bogeyed two of the last three holes while Marko parred. “I finally made my first meaningful putt and it couldn’t have come at a better time,” said Marko. “I had a 15-footer for par on the 19th hole and made it, while Eric missed his 10-footer.” Game, set, match. Marko wins. Next up in the semi-finals: Gen Nagai. Both played well and, after hours on foot, with Marko scoring under par (gross) and Gen at even par — with most of the holes won by birdies — it was Sarmiento who edged Nagai, 2-up. 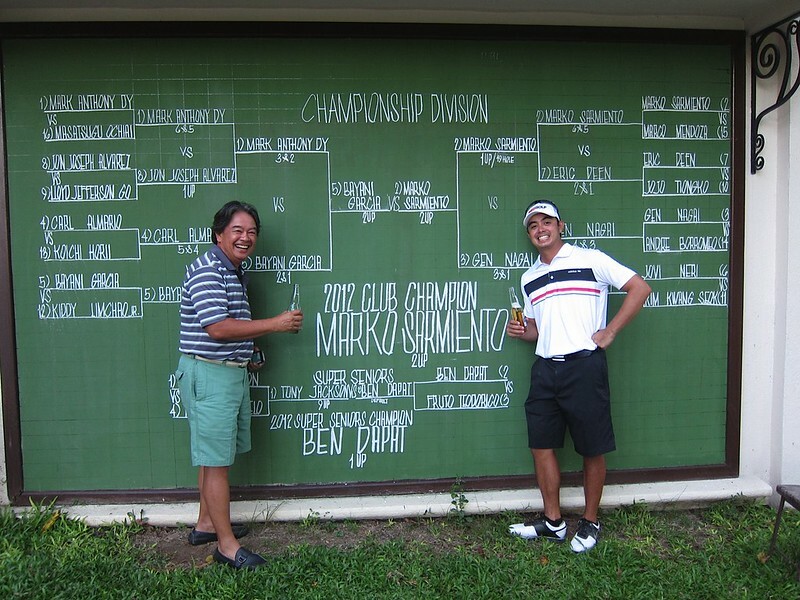 Now, after beating the 2011 Class B champ (Mendoza) in the first round, then the 6-time champ (Deen) in Round 2, and the CCC junior club winner (Nagai) in the semis, Marko had the face the 2009 champion, Bayani Garcia, in the 36-hole, early-morning-until-late-afternoon Saturday final. It was a showdown between two of CCC’s longest hitters. The day before the finale, Marko asked for advice from his uncle, the CCC president and 8-time champ, Montito Garcia, who told him to stay close in scoring to Bayani in the morning (first 18 holes). On Hole No. 28, both made long putts for birdie. But on the 29th, there was a reversal of scores. Bayani birdied! For the first time, Bayani took the lead. Finally, with just three holes left to play, Bayani led 1-up. That’s when — on the 34th hole — the steely nerves of the 34-year-old Marko emerged. He birdied Hole No. 34. The match was all-square. Then, when Bayani hooked his tee shot in the rough (which led to an unplayable lie and a one-stroke penalty) while Marko parred, it was Sarmiento with the lead. Atty. Jovi Neri concurs. Marko traveled a lot this year, he said, which compromised his game. But then, help arrived. Marko’s swing coach, Andrew Ong (who also works with his PAL teammates Lj Go, Gen, Jovi and Bayani), arrived in Cebu together with Eric Gozo, who operates Flightscope, a super high-tech ball-flight tracking radar and launch monitor. “Working with these two US-trained professionals, Marko was able to fix his swing and knew exactly how it affected his ball flight since there was accurate measured data determined by the Flightscope,” said Atty. Neri. Congratulations, Marko! 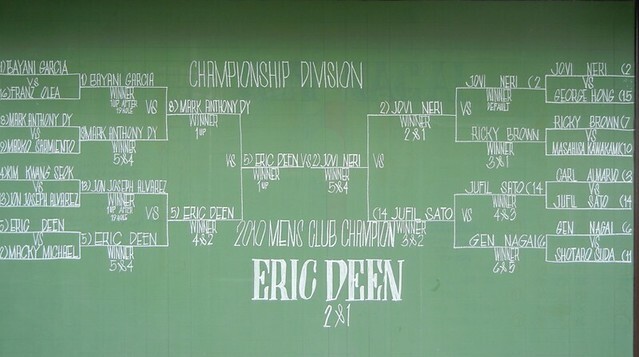 Thanks to the text message of six-time Cebu Country Club champion Eric Deen, I got to learn about the astounding achievement of a fellow Cebuano. Charles “Chuck” Hong (said Atty. Jovi Neri: he now prefers to be called ‘Chuck’ instead of ‘Chuckie’) placed 3rd last Sunday in the PGM Sarawak Masters in Kuching, Malaysia. 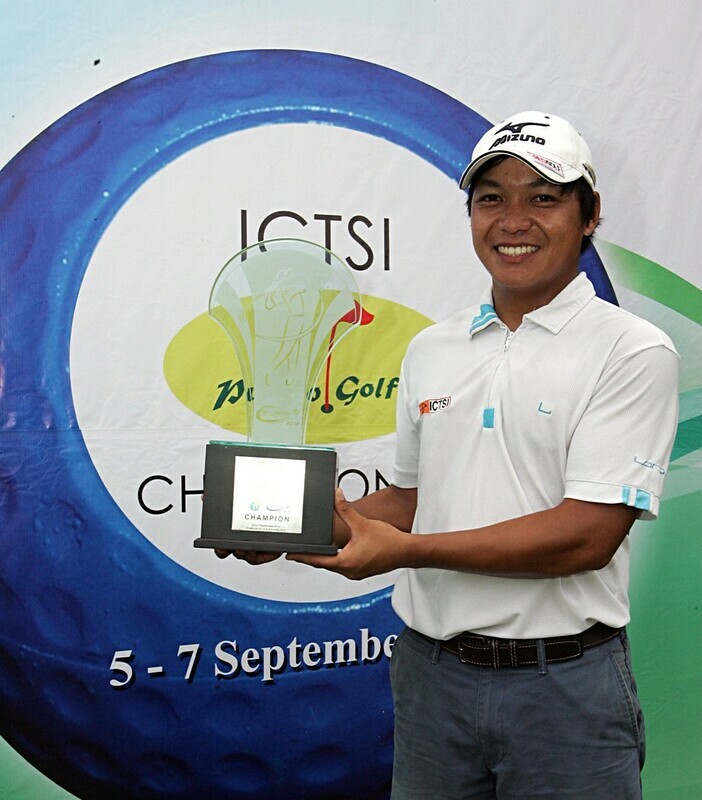 The “W” means “win” and that victory — Chuck’s first since he turned pro — happened last month when he won the ICTSI Pueblo de Oro Championship in Cagayan de Oro City. In that CDO win, Chuck scored a remarkable seven-under 65 in the final day then defeated Richard Sinfuego in the playoff. Playing well he is! Since turning pro, look at the accomplishments of Engr. Hong (yes, he’s a licensed Civil Engineer): For 2011, 4th place finish, PGT Wack-Wack. For 2012, 5th place PGT Splendido; 6th place PGT Sherwood Hills; 7th place PGT Eastridge; Winner, PGT Pueblo De Oro; 8th place PGT Palos Verdes; 11th place ADT Johor, Malaysia; 3rd place ADT Sarawak Masters, Malaysia. Whenever I need help with golf, I turn to two friends who are not only Class-A golfers but also skillful writers: Marko Sarmiento and Atty. Jovi Neri. Jovi concurred: “Lj and Gio are not just among the country’s top juniors but among the top five Filipino amateur golfers today.” But, guess what? For the first time, the top two seeds lost. Jovi credits the depth of talent in his club where, on any sunny day, anyone can beat anyone. He added that while the “young ones” were the stars in CCC’s PAL Interclub win, it was the “once young” who emerged winners last week. The finals? Last Saturday between eight-time winner Montito Garcia (1991 to 1995, 2003, 2007 and 2009) versus five-time champ Eric Deen (1997 to ’99, 2004 and last year). Here’s Marko’s summary: “When you reach the final, it’s more a battle of attrition than anything. It’s a 36-hole match with no golf carts allowed. Leading to the finals you play 5 out 7 days. Under the summer heat, it gets exhausting. The level of play goes down because of fatigue and in match play you match up directly against your opponent. If your opponent double bogeys, all you have to do is bogey. “Mon told me that he was around 2 or 3 over after the first 18 holes which left him 3 up. Eric got off to a shaky first 9 but didn’t leave himself too far back. On the 2nd 18, fatigue was getting the better of them. Pars and bogeys were winning holes. Eric cut Mon’s lead to 1 after 27 holes. “In the back 9, Eric seemed rejuvenated while Mon started to fade. Mon relied on his hot putting all week but couldn’t get one to drop in the final 9 holes. Eric built a 2 up lead with 2 holes to go. “Closing a match is always the hardest part of match play, similar to holding on to your serve to win a match in tennis. Eric bogeyed the last 2 holes vs Mon’s pars to send the match to sudden death. “After 8 hours of golf, they were back to even and headed for the 1st hole. Both hit perfect drives and good second shots. Mon left himself a 12-footer for birdie while Eric had a 7-footer. Mon putted first and barely missed but Eric made no mistake and birdied to win! Credit, of course, goes to all the team members. These include CCC president Montito Garcia, Eric Deen, Carl Almario and Bayani Garcia. One of the secrets shared by Neri? Let the kids be kids and not give them unnecessary restrictions. Gio Gandionco, 16, the son of proud parents Opep and Cora, was the final player on the last day. On the 18th hole, he drained a six-foot birdie putt to score an impressive two-over-par 74 (34 points). Golf is difficult. Look at Tiger Woods. His knee is damaged, he’s world-ranked a lowly 49, his last title was 22 months ago and, at last month’s PGA Championships, he shot a 7-over 77. TW missed the cut. GO, LJ. G-O L-F. The two are nearly identical. It’s no coincidence that this 16-year-old Cebu Country Club (CCC) resident is one of the country’s most promising golfers. Last Thursday, Atty. Jovi Neri chronicled LJ’s spectacular 2011 season. 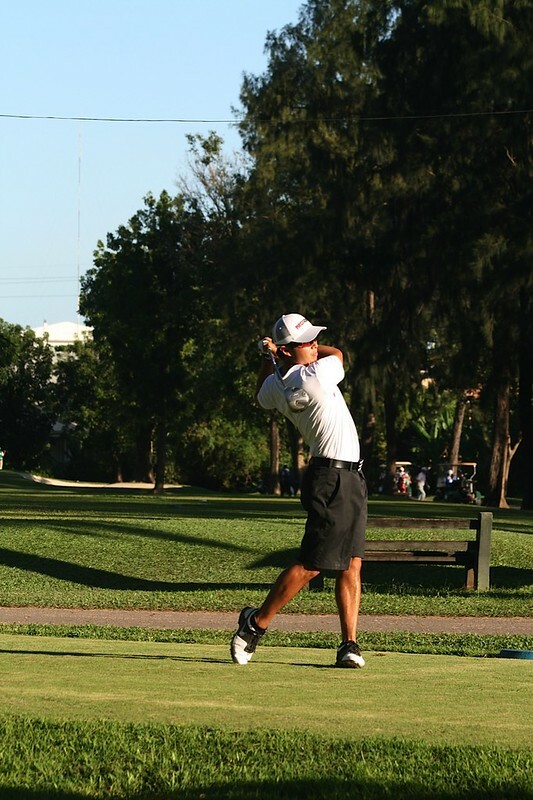 Many experts, including Jovi, the head of the CCC Jungolf Program and a former CCC champion, consider LJ “as the most talented junior to emerge from Cebu Country Club.” Possibly, ever. Among LJ’s records: two junior championships, twice shooting the junior competitive course record of 69, a men’s club championship top seeding, and twice top-scoring for the men’s PAL team. Here’s more… Last summer, after a string of successful tournaments in the U.S., LJ returned to Cebu all-confident. 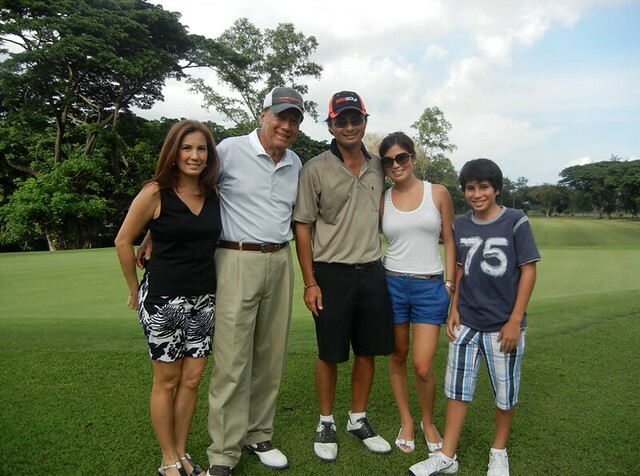 In Club Filipino’s President’s Cup, he shot a 68 and went home to his parents, Charlie and Lily, carrying the trophy. Next, he led his team to the overall crown of the Cheling Garcia Memorial. LJ also joined the Taiwan Men’s Amateur and came within a stroke of being the best Filipino campaigner. The Putra Cup, which finished weeks ago in Hong Kong? 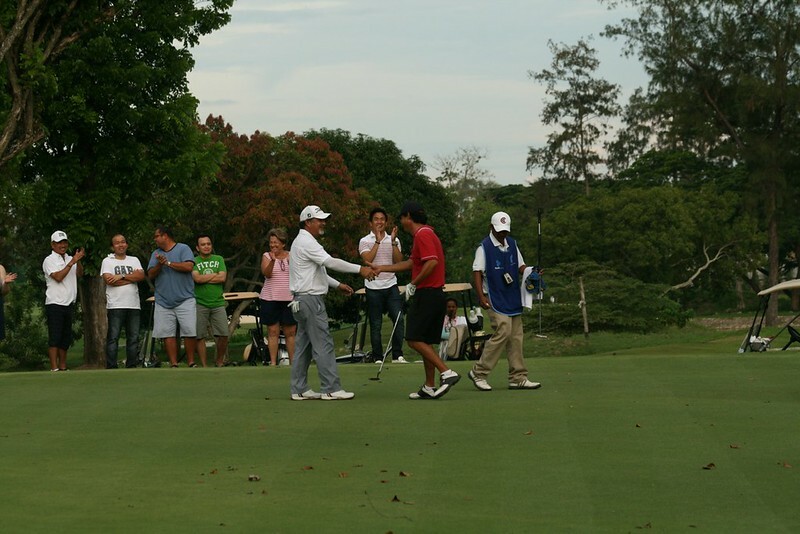 “His third round 70 was the best by any Filipino and his total was 2nd best among eight Filipinos – men’s and juniors – who played the course from the same tees,” said Atty. Neri. LJ first swung a 7-iron at the age of 7. He started under the tutelage of Raul Sorino, one of the instructors of the CCC Jungolf Program, then moved to his longest-serving mentor, Victor Macutay. Today, his coach is Andrew Ong. How remarkable? Here’s a story supplied by Jovi Neri: “Last Sunday, I joined LJ’s flight with Gen Nagai, Gio Gandionco and Liloan Mayor Duke Frasco. In the front nine, he was out of his element hitting tops and shanks to find water on three straight holes. He even had a four-putt green and shot an ugly 8-over par 44. “Many have said that Lloyd Jefferson ‘LJ’ Go is the most talented junior ever to emerge from Cebu Country Club,” said Atty. 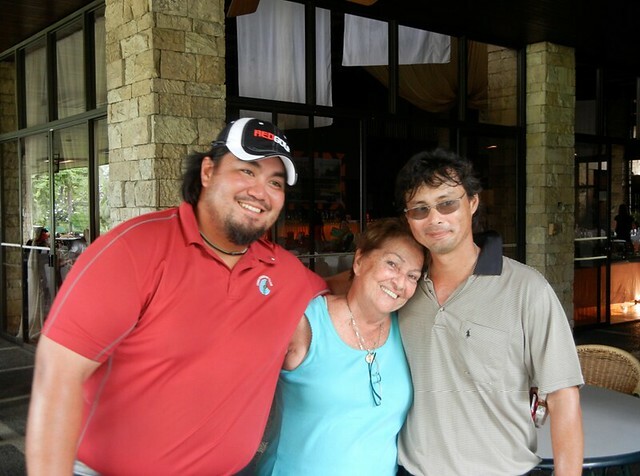 Jovi Neri, one of the most avid of Cebuano golfers and himself a columnist in the Inquirer Golf magazine. Atty. Neri wrote a full-length chronicle of LJ’s phenomenal 2011 season. Here’s the rest of Jovi’s story…. “LJ’s achievements were spectacular in the club level: two junior championships, twice shooting the junior competitive course record of 69, a men’s club championship top seeding, and twice top-scoring for the men’s PAL team. “But his results in the national level were not reflective of his talent until this year, when he emerged not just among the top juniors but as one of the top men’s amateur golfers who can compete internationally. “During the summer he took in a new coach, Andrew Ong. This gave him renewed motivation which he channeled into increased drive and work ethic. As changes take a while for results to come, all it took LJ was an incredible round one April afternoon. “Plodding along in the middle of the field in the Junior World qualifier in Manila Southwoods, LJ came out of nowhere to shoot a spectacular final round 72 to jump five places and steal the final slot for the Junior World Championships in San Diego via sudden death over Gus Mata. 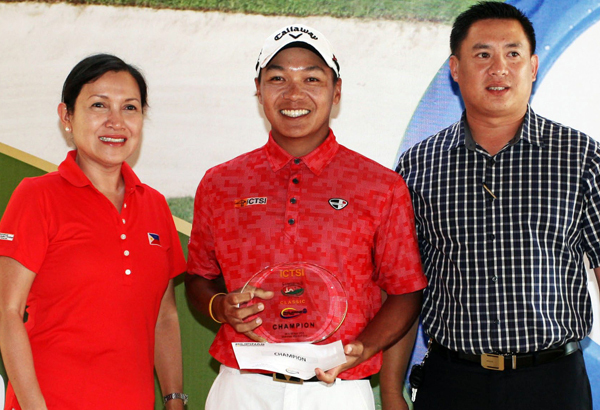 “The next week, LJ got his first champion trophy in Luzon with a nail-biting win in the Faldo Series Phils. Championship in Tat Filipinas Golf Club. He then headed to play the Phil. Junior Amateur – a major championship for juniors. 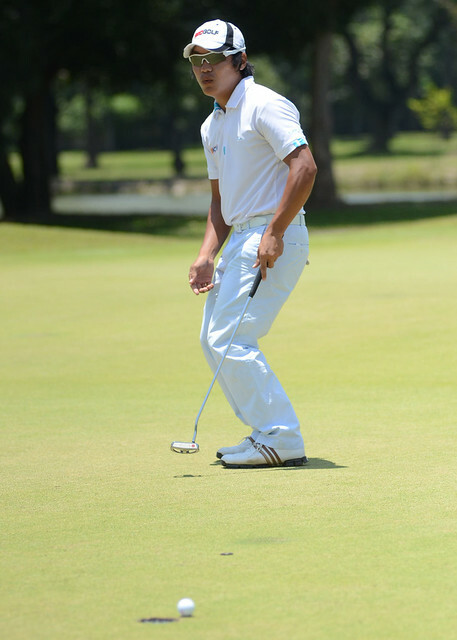 “Playing in Alabang Country Club, he scored two major upsets – starting with home-course hero Basti Lorenzo, then pre-tournament favorite Miggy Yee. In the semis, he faced Junior World Champion Rupert Zaragosa and was on the cusp of victory, 1-up with two holes to play, but lost. Zaragosa went on to win the championship. 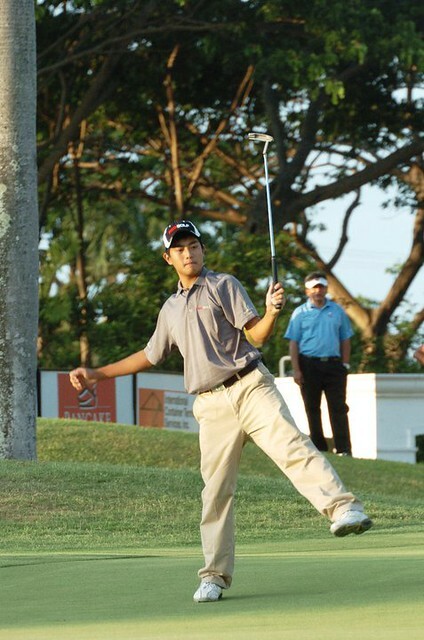 “The following week in the Philippine Men’s Amateur Match Play, LJ did not play as he was preparing for his US trip. The eventually winner was Zaragosa but two of the semifinalists were Mata, whom he beat in Southwoods, and Yee, whom he upset in Alabang. “Now it was off to America where LJ competed in the AJGA (American Junior Golf Association), regarded as the PGA Tour of junior golf. LJ flew to the USA with no assured slot in any AJGA event. He would have to play qualifying rounds where up to 75 golfers compete for 3 slots. He had to endure a 14-hour trip to Los Angeles followed by an 8-hour drive to Phoenix to play his first qualifying. “Defying all the odds, fatigue, and jet lag, LJ teed it up in Moon Valley Golf Club – the course where Annika Sorenstam shot her historic 59 – and earned the last spot in the tournament via playoff. 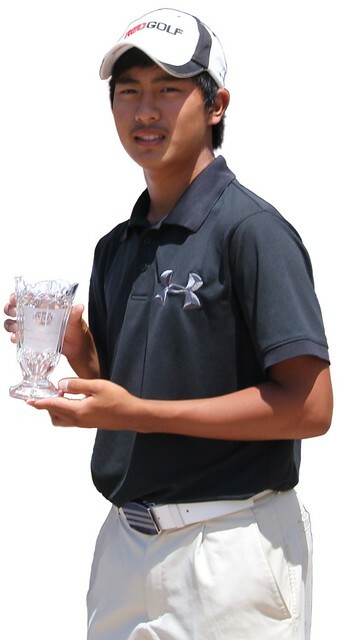 LJ shot rounds of 78-75-78 in his first AJGA tournament — respectable and good enough to win junior tournaments locally. But there, he found himself tied for 55th — or 3rd to the last. It was a rude awakening. 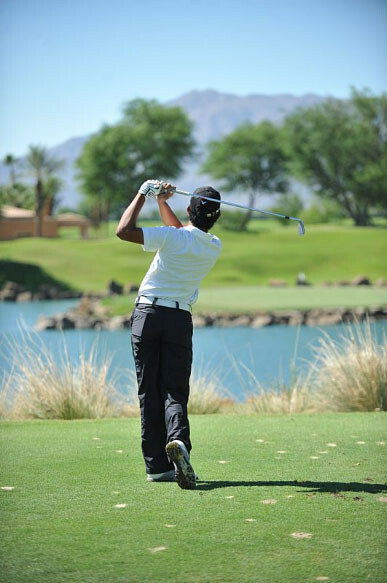 “When he could have easily given up, LJ continued to grind it out and earned spots to more AJGA events. After Arizona, he played events in Nevada and California. “In the Junior World Championships in San Diego, LJ opened with a 74 in Torrey Pines South, a course that hosted the ‘08 US Open, which was Tiger Woods’ last major win. It was the best score turned in by a Filipino all week and the best score by a Cebuano ever in that tough course. “In PGA West Stadium – a course where Nicklaus and other golf superstars had competed in past Skins Games – LJ was the only one who played under par through two rounds and finished in the top 5. Yesterday was Bobby Aboitiz’s birthday. Instead of a text message, I was able to greet him in person, while walking and observing the land’s best golfers. In the tournament named after his family name, Bobby watched. So did his brother, Jon Ramon. Both strolled, clapped, moved aside when a Ping! sounded from the tee mound. BAYRON. Last Tuesday, two days before the Aboitiz Invitational started, Atty. Jovi Neri approached many of the professionals and asked their prediction for the winning score. Some said 5-under-par. Others said 2-under. A few answered: 8-under. Only one person had the audacity to declare that the winning score would be 12-under. His name: Jay Bayron. In the end, we know that Jay did not score anywhere near that number but, according to Atty. Neri, it proves the confidence of Mr. Bayron. What confidence yesterday! He birdied four of the last six holes. At No. 16, after he sank a long putt for another birdie, he smiled a smile that beamed as wide as the fairway. “He’s in the groove,” said Bobby Aboitiz. Wearing all black—pants, cap and shirt—compared to the pink trousers of Elmer Salvador and the bright blue striped T-shirt of Jonathan Moore (who was a former teammate of Rickie Fowler), there was nothing dark black about his game. 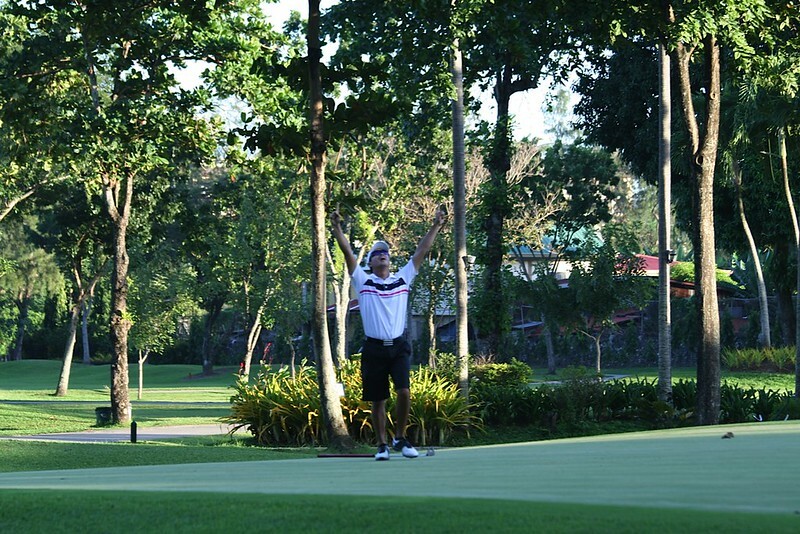 Reliving last year’s winning walk during the 2010 edition of the Aboitiz Invitational, he did the same yesterday. Teeing off at 8:20 a.m., as each hour passed and as every hole was scratched from his To-Do List, he chipped off the leader-board’s scores. At exactly 12:40 p.m., surrounded by hundreds of CCC members, caddies, Aboitiz cap-wearing spectators, and one American (Moore) and a fellow Davaoeño (Salvador), he punched his final putt into the cup. Jay Bayron took off his black cap, bowed to the gallery at the CCC veranda, then smiled. Everyone smiled. Jay’s brother, Rufino, lifted his brother up on the air. Then, the air sounded. Thunder roared. Dark, gray-black skies enveloped the greens. It was as if, by perfect timing, not only the crowds cheered—but the skies wanted to clap, too. Finally, in a hard-to-believe moment, barely 10 minutes after Bayron’s winning putt, rained poured. There was no rain this entire week. The sun baked the visitors. Umbrellas were opened—not for water but for the sun. In contrast, the previous week, Cebu was drenched. Daily, it showered. But not this week. Until 10 minutes after The End. What timing! Had Basti Lacson, who orchestrated this massive successful operation, also negotiated a direct line Upstairs for the impeccable timing? Kudos to Aboitiz. Well done. CCC. When I asked for a commentary from the golfer whose blast off the tee can outdistance most of the visiting pros (he averages over 300 yards), the reply of Marko Sarmiento was clear and loud: Cebu Country Club was the winner. Puzzled, I asked why. Marko explained what Frederic Chiongbian, Clifford Celdran and Pres. Montito Garcia already know: Months back when the Asian Development Tour (ADT) officials visited for an inspection, they grumbled. This par-72 course is too easy. The scores are too low. Let’s make it difficult. Difficult they did. Holes 7 and 11 were transformed from par-5s to par-4s. The fairways were squeezed narrower. Grass at the sides, grown taller. 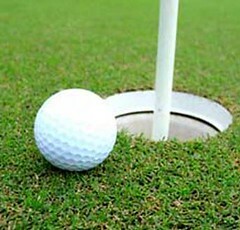 Most of all, the greens were cut so short that, in some holes, you can see a hint of brown—the soil. Marko’s correct. It was as if the U.S. Open were held in Cebu. Who’d have imagined that only one—Jay Bay’—will score below par? One is an international event while the other is an event between nations. They’re the same. One uses a white synthetic ball while the other, a yellow fuzzy ball. They’re the same. 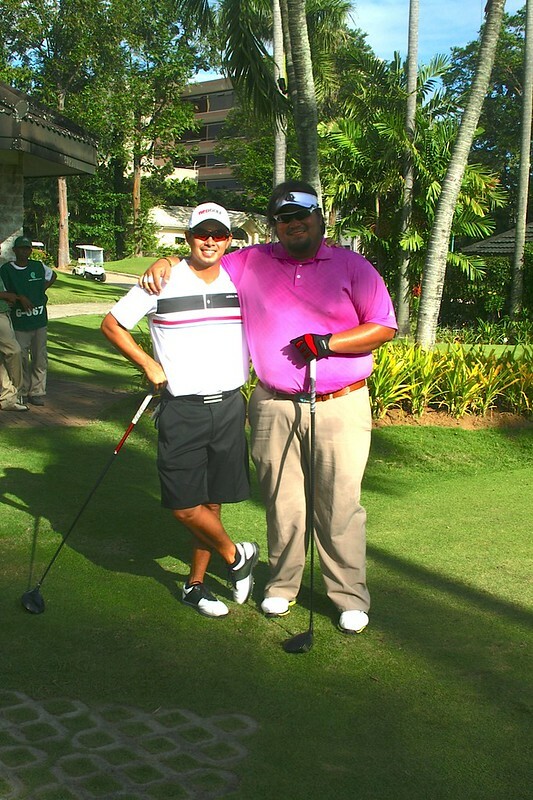 The Aboitiz Invitational 2011 is the most prestigious golf event to land in Cebu. It’s happening today. Yesterday. Tomorrow. And Saturday. The Davis Cup 2011 is the most illustrious tennis event to bounce in Cebu. It’s not happening yet. The dates are September 16 to 18. Today happens to be the very first ‘BER day of the year—we’re SeptemBER 1—and the Davis Cup is only 15 days away. Isn’t our island lucky? The four-day golf-fest now being played at Cebu Country Club could easily have been situated in Davao’s Apo Golf or Laguna’s Caliraya Springs or Manila’s Canlubang. But it’s here. Right across the “soon-to-open” Ciudad. Cebu is blessed. We, Cebuanos, are blessed. Same with the sport that’s being played in Flushing Meadows, New York. It’s called tennis. The Davis Cup clash between the Philippines and Chinese Taipei could easily have been held at the Rizal Memorial courts in Manila or the Philippine Columbian Association (PCA) indoor facility. But, no. The venue is here. Like golf. It’s at the Plantation Bay Resort and Spa. The island… ah, Cebu. My point is this: Let’s watch!! These twin tournaments just two weeks apart are the paramount sporting marvels of this Year of the Cat. With the Aboitiz Invitational, I watched for nearly 60 minutes yesterday—thanks to the personal tour by Atty. Jovi Neri, a 4-handicapper whose best score in CCC is an astonishing 67. Jovi drove the golf cart of Clifford Celdran. We followed Elmer Salvador, whose 1-over final score was the best by noontime. Chuckie Hong? Playing his first pro tournament on his Cebu home court, I watched him wear a REDGOLF cap and drive that first drive on Hole No. 10. A friend to all the caddies and local CCC boys, he received the loudest applause. Miguel Tabuena was impressive. Only 16 years old, the “Boy Wonder of Golf” flew in from Taiwan a couple of days ago. We shook hands. “The last time I played on this course,” said the 2010 Asian Games silver medalist, “was when I was only nine years old.” Mig shot a 2-over. I left at noon and, by then, the scores were high. One pro logged a 9-over. The reason for the high scores: “The greens were very, very hard.” Those words were uttered by Miguel T., about the same age as our top guns named LJ Go and Gio Gandionco. What I found unusual yesterday was that very few people watched. Entering CCC around 11:15 A.M., I expected to find difficulty parking. Only a dozen cars were parked. This is perplexing. Or, maybe not. Because while the distinguished and exalted of golfers are joining, there’s no Phil M. or TW1 or even a Keegan Bradley, the PGA Championship winner. Also, yesterday was a Wednesday—the first working day after a four-day-long weekend. Everybody’s busy; at work. Still, I hope more people watch. Today. Tomorrow. Especially on the finale, on Saturday. Be you a golfer or a non-golfer, the perfect mix of blue skies with putting greens and multi-colored Asian and European and American golfers ought to make you visit the Country Club. Back to the Davis Cup tennis: This is another not-to-be-missed contest. Our players are: Cecil Mamiit, previously ranked as high as world No. 72 and was the “sparring” (or make that “hitting”) partner of Maria Sharapova; there’s Treat Huey, world-ranked No. 71 in doubles; and two newcomers: Jeson Patrombon and Ruben Gonzales. Chinese Taipei? Team Taiwan is led by Lu Yen-Hsun. Currently No. 82, he was once ranked as high as world No. 33. If he comes to Lapu-Lapu City… Oh, no… it will be tough. (Update: In his first round U.S. Open match yesterday, he lost to Jo-Wilfried Tsonga, 6-4, 6-4, 6-4. This means he might come to Cebu!). Davis Cup tickets, priced at only P200/day or P500 for three days, are now available at Chris Sports SM or Ayala. Get your DC tickets now. Today, the celebration begins. 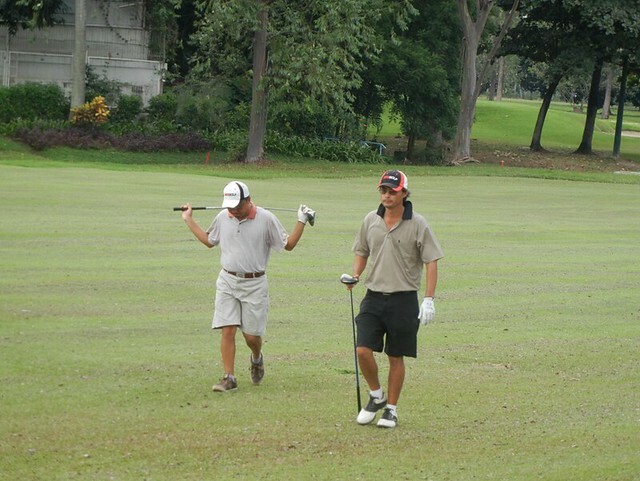 It’s the Pro-Am Day of the Aboitiz Invitational 2011, when three amateurs mix with one professional in one flight. It’s a chance for an Atty. Jovi Neri to be in the same flight with pro Robert Pactolerin. Completing their foursome are Jovi’s dad, Atty. Julius Neri, and Mark Dy. Today is an opportunity for Cebuanos to spend hours on the course with a pro; an occasion for the professional to do a relaxed practice round around CCC. Tomorrow, the combat begins. It’s the start of the four-day tournament. Will our top local, Artemio Murakami, make our nation proud by winning the Cebu leg? Last week, Murakami was ranked No. 3 in the ADT money list. This ranking is important. The top three earners will get automatic spots in the Asian Tour. The bad news is, after last weekend’s Ballantine’s Taiwan Championship, Murakami has slipped to a No. 5 ranking. If he wins—or does well—starting tomorrow until Saturday here in Cebu, he can regain that Top 3 spot. But it will be tough. There are 126 players expected to join. A total of 19 countries are represented. What makes this event so huge is this: The very first Philippine stop of the Asian Development Tour (ADT) is not in Manila. It’s not in Tagaytay. It’s not in Wack Wack or Valley Golf or Riviera. It’s in the City of Cebu. The 2011 schedule started last February in Bangladesh. 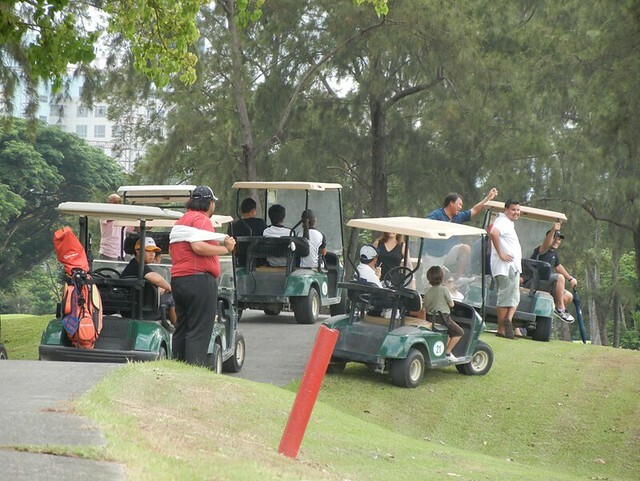 Then it moved to various courses around Malaysia and Chinese Taipei. It’s 7th stop? On our Philippine archipelago? Starting last April, a lot of work has been done to improve the course. “We’re slowly re-doing some areas of the course (e.g. tee mounds, drainage, tree pruning, bunkers),” added Chiongbian. To comply with ADT standards, the course is now more difficult: the fairways, narrower; the roughs, tougher; the greens, faster. 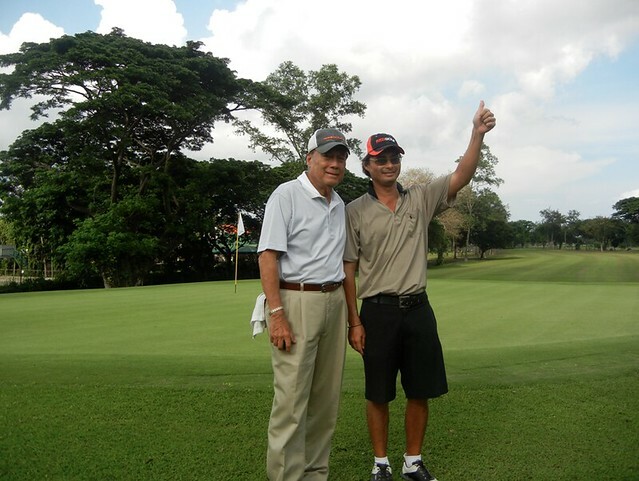 All credit goes to the Aboitiz family, whose Aboitiz Equity Ventures headquarters sits right beside Cebu Country Club. No doubt, this is one of the year’s most illustrious of sporting events. In an email he sent me two nights ago, Basti Lacson, the lead advocate of this event representing Aboitiz, acknowledges the importance of the partnership between ADT, the PGT, sponsor ICTSI and Aboitiz Equity Ventures. Basti also named four Pinoys—Murakami, Elmer Salvador, Juvic Pagunsan and Miguel Tabuena—as contenders to win the $11,000 first prize. As to the general public? Let’s watch! “The course is open for the public to watch, starting tomorrow until Saturday, Sept. 3,” said Basti Lacson. The golf champion from 1997 to 1999 and, again, in 2004, it’s been many summers since he last won the Club Championship trophy of the Cebu Country Club. Yesterday, playing another former titlist — Jovi Neri, who won the 2001 edition — he finally won again after playing 18 holes in the morning and 17 holes in the afternoon. “That was tiresome!” said Eric Deen, seconds after receiving a congratulatory hug from his family members that included his dad (and former club champion) Atty. Danny Deen, and his sisters Jackie Lotzof and Vanessa Deen. It was Eric’s fifth Men’s Club Championship victory. 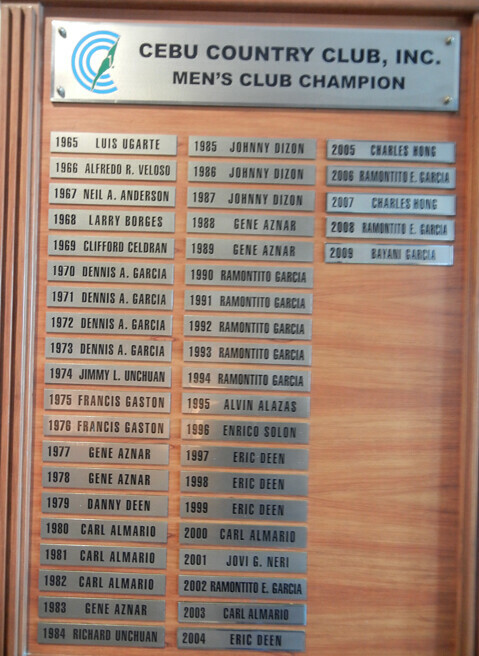 Dating back to 1965 when Luis Ugarte won one of Cebu’s most revered of amateur golf titles, Eric’s Victory No. 5 elevates him to second in the all-time winners list: he and Carl Almario have five apiece while Montito Garcia — the new CCC president — has eight trophies. Yesterday afternoon, thanks to Charlie Michael, who helped drive the golf cart, I was able to watch the back nine starting with Hole No. 13. At that point, Eric was leading 1-up and, after Jovi landed in the sand trap after his second shot, it was Eric who won that hole and led, 2-up, with five holes to go. Eric and Jovi, from Holes 14 to 17, were both steady. They parred each hole. The crucial moment came in Hole # 14 when, after his tee shot, Eric drove left and landed far from the green. He was under a shade of trees. But, the ultra-relaxed player that he is (you’d never know, from watching, that he was in the final of a major tournament), Eric punched his second shot as the ball flew, hit a few branch leaves, then safely landed on the green. Par. This 2011 (though the CCC Club championship, oddly, is called the 2010 edition), Eric Deen had no par. He was unbeatable. In his first round, he bested Macky Michael (my best friend on the tennis court), 5 and 4. In Round 2, he beat Jon Joseph Alvarez, 4 and 2. Then, in probably the most thrilling of all the week’s encounters, Mark Dy led Eric Deen in the semi-finals one-up with two holes to play. Sadly for Mark, he bogeyed the final two holes and lost, 1-up. At 4:30 p.m. yesterday on Hole # 17, Eric received a resounding applause when he won 2 and 1 against Jovi. 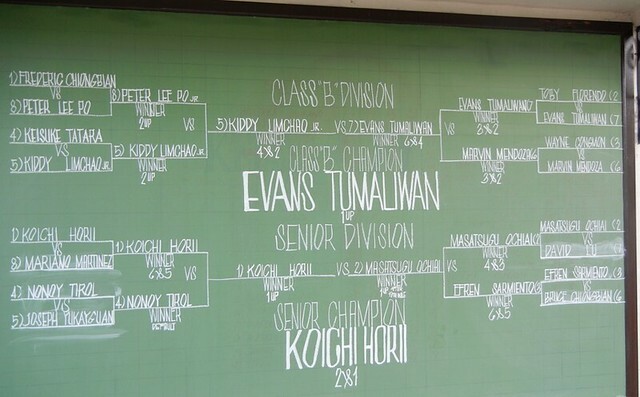 In the Class B division, Evans Tumaliwan won after beating Kiddy Limchao, Jr., 1-up. 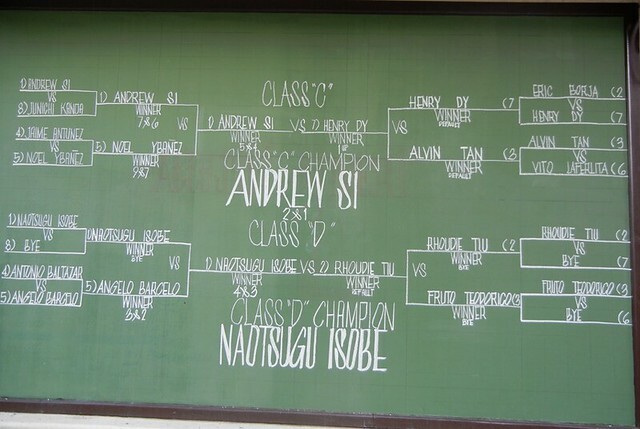 In the Class C category (perfect because of the way his family name sounds), it was champion Andrew Si. He beat Henry Dy. In the Class D, it was Naotsugu Isobe besting Rhoudie Tiu. The CCC Senior champion was Koichi Horii. And, on the opposite end, the Women’s Champion was Abby Olea.